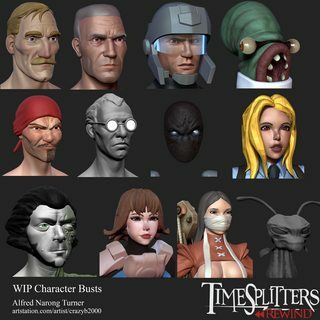 My name is Alfred Narong Turner and I was the lead 3D character artist on the game TimeSplitters: Rewind for around a year and before that I was simply a 3D character artist. 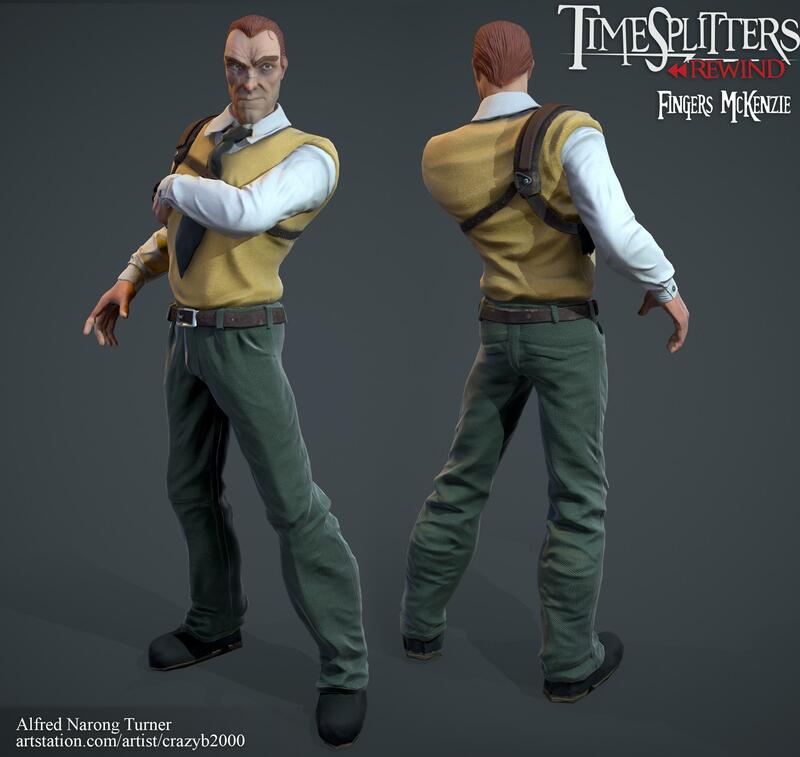 I first joined the team in 2013 where I worked on Viola and followed that up by working on the TS2 Military Character set. The team eventually thinned out to the point where I was the only active character modeller so I decided to take the tremendous job of creating around 300 characters all by myself. To put it simply, I got cocky and bit off way more than I could chew. 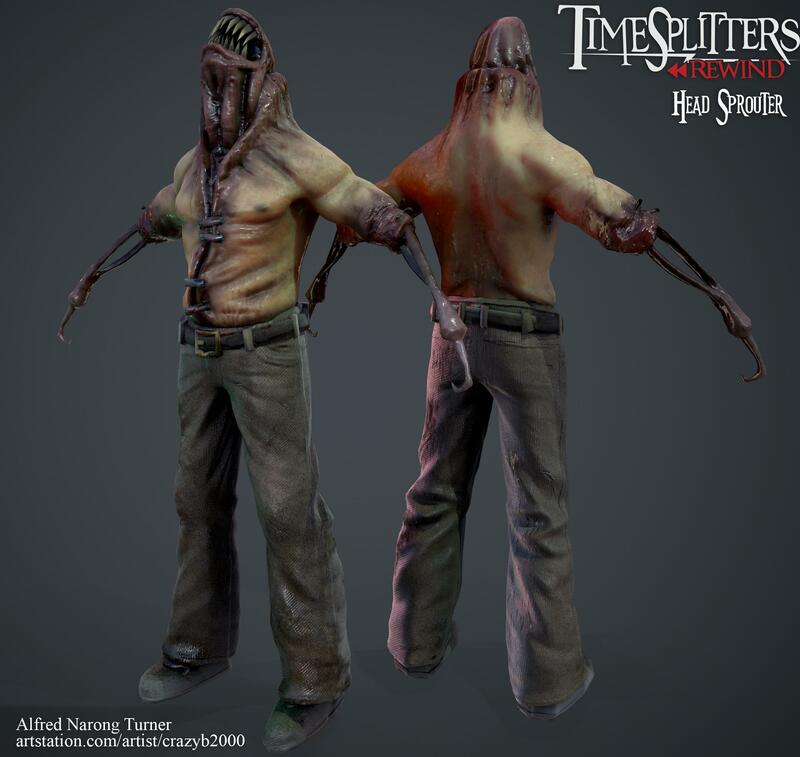 The chosen art style for Rewind was one which was a heavy mix of TimeSplitters’ stylized proportions and realistic detail. 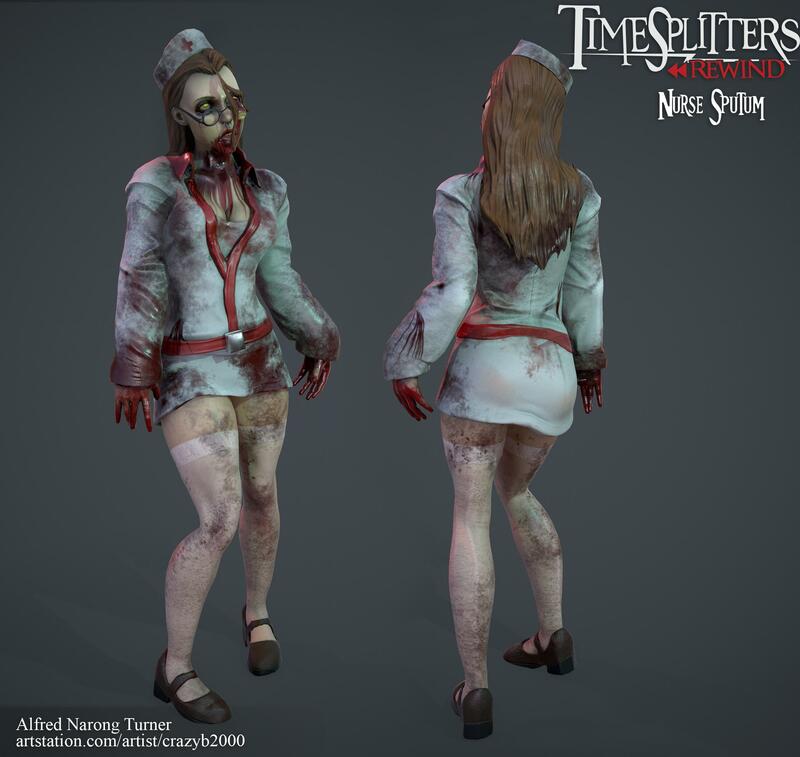 We called it “Heightened reality” and often cited Dishonored, Alice: Madness Returns and Bioshock as examples of similar styles. 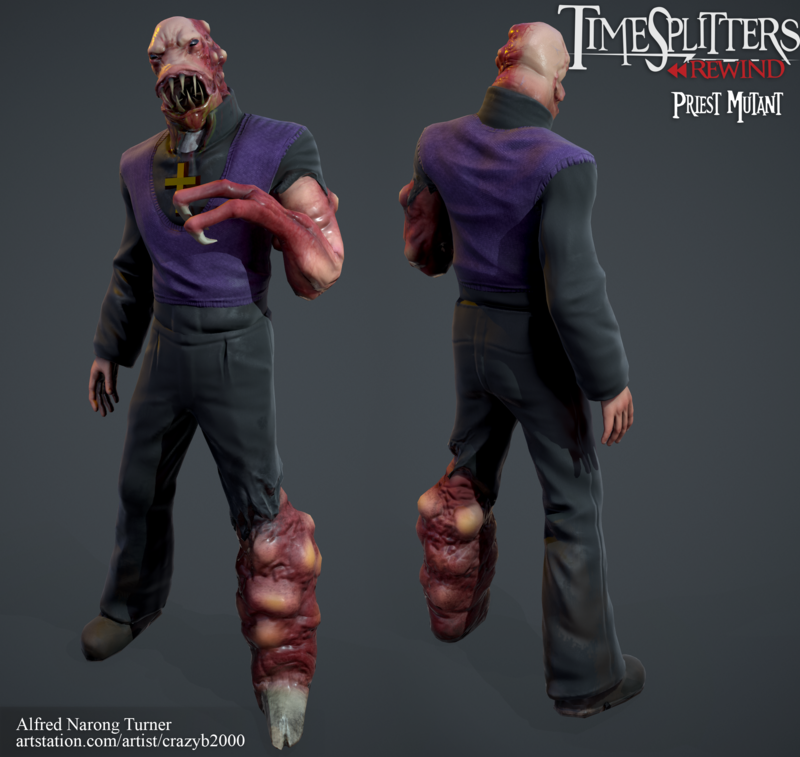 Due to this level of detail and the sheer number of characters required, the level of quality in the characters for rewind started to drop as I started to rush models. Many shortcuts were taken and retrospectively I do have many regrets. I left the team in late 2016 to devote more time to improving my skills. Rewind was a fun and valuable learning experience for me where I got to make new friends and gain a different perspective for future projects. I wish everyone still on the team great success in the future. Regarding my work on Rewind, I decided to do an art dump on these forums. 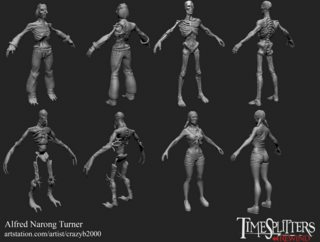 Some of these models date back quite a bit and I have problems with them but I decided to post them in case anyone happens to enjoy them. I will try and answer any questions and will be posting more soon. 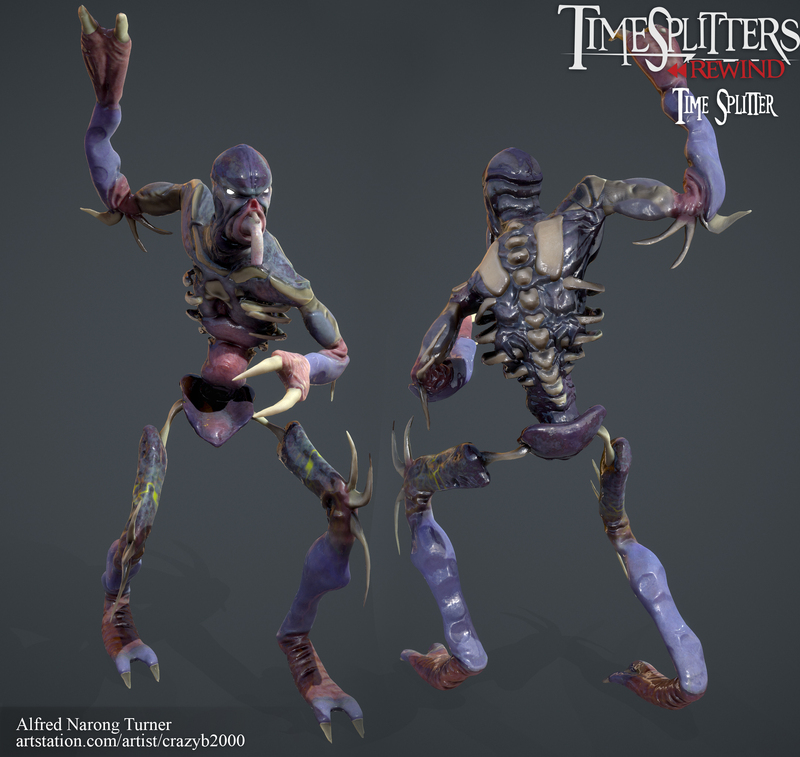 I don’t have all the models on my computer but I do have some old images hidden away somewhere so I may post those as well though do bear in mind that they are fairly old renders. Last Edit: 2 years 2 months ago by Crazyb2000. Professional kinda sarcastic guy at your service. These models look marvelous. I think I have said it before, but you have done an amazing job at reviving the character models and making them up to date. 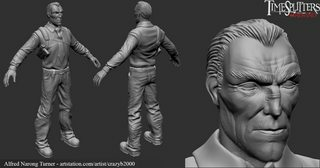 Question: *How long does it take to create a character (on average)? 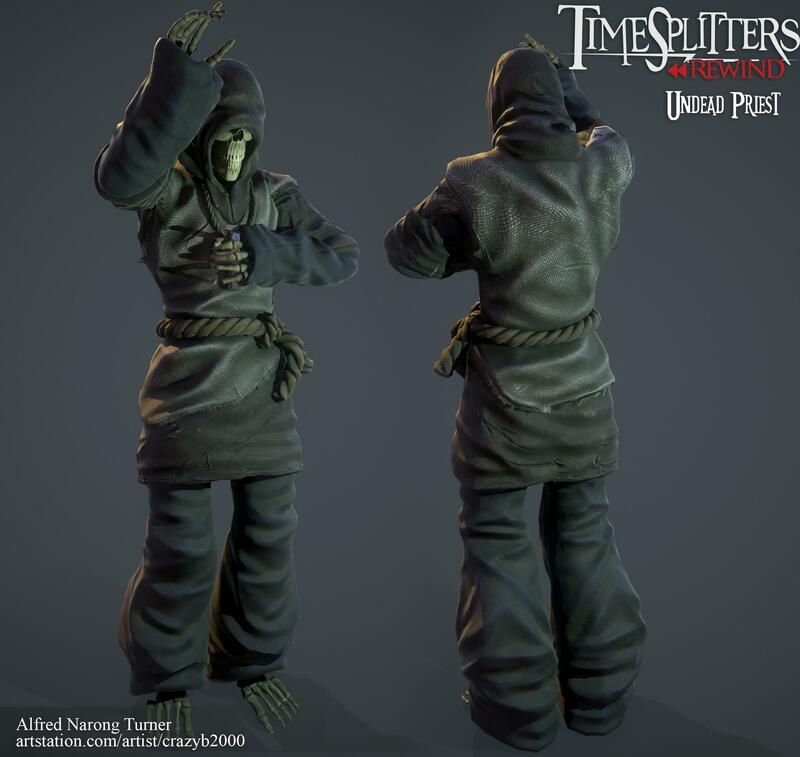 *Which character was your favorite one to work on? Last Edit: 2 years 2 months ago by Davik Heragon. You are too talented for this world. Have you ever considered coming back to the team? Everyone on the TS:R discord server is talking about how great you were. Even the devs were saying how important you were on the team. I'm a Cynical Brit. No, not THE Cynical Brit. A Cynical Brit already goes by that persona. It's such a shame to see you go, these models are absolutely beautiful. Good luck with it all though! Your work is just GREAT Amazing stuff, thank you SO MUCH for sharing and spending time to make these! Wow these are great... so this is the awesomeness we were left in the dark about for so long... really wish you were still on the team after seeing these, but you do what you have to do, good luck in your future endeavors. One question though, anything you have saved from these models, have they been handed over to the rest of the team to continue work on (providing they give you the credit you deserve) or are they un-usable? I would hate to see them go to waste. Just created an account to tell you how wonderful your work is, especially on the oldest characters Fingers McKenzie looks so badass! Just like Dethwish-2401, I'm wondering if these models will be used in the final game? These models are absoloutley brilliant! 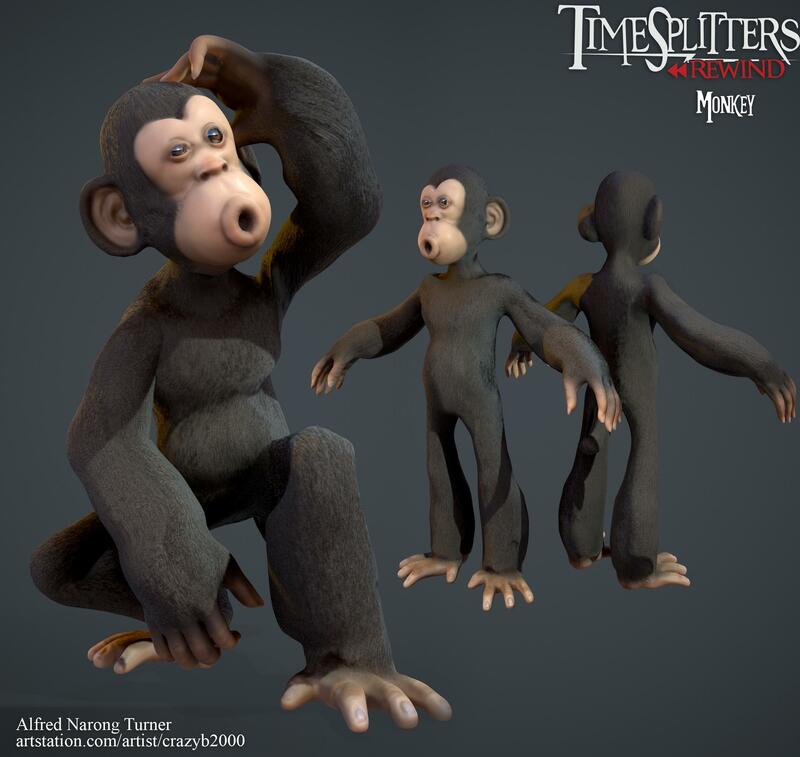 I was comparing them to the original models and your ones look far more superior and excellent compared to the old ones, especially timesplitter 1, beserker splitter, monkey and priest mutant. I also like the style you made the characters in, it's really unique. Did you ever make reaper splitter, Robofish, Sentry bot and Cyberfariy? 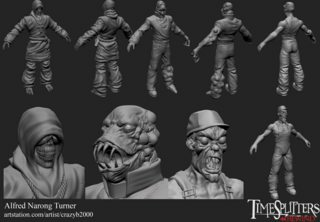 How long does it take to create one model? 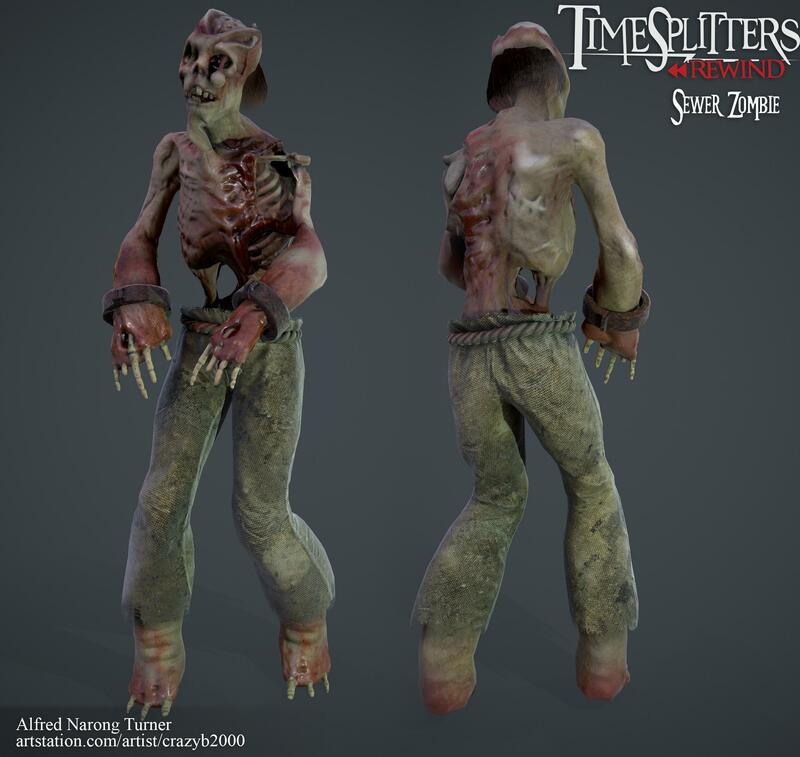 Would it be possible to import the models to Garry's mod/source so users can take a look into the models and play around with them? 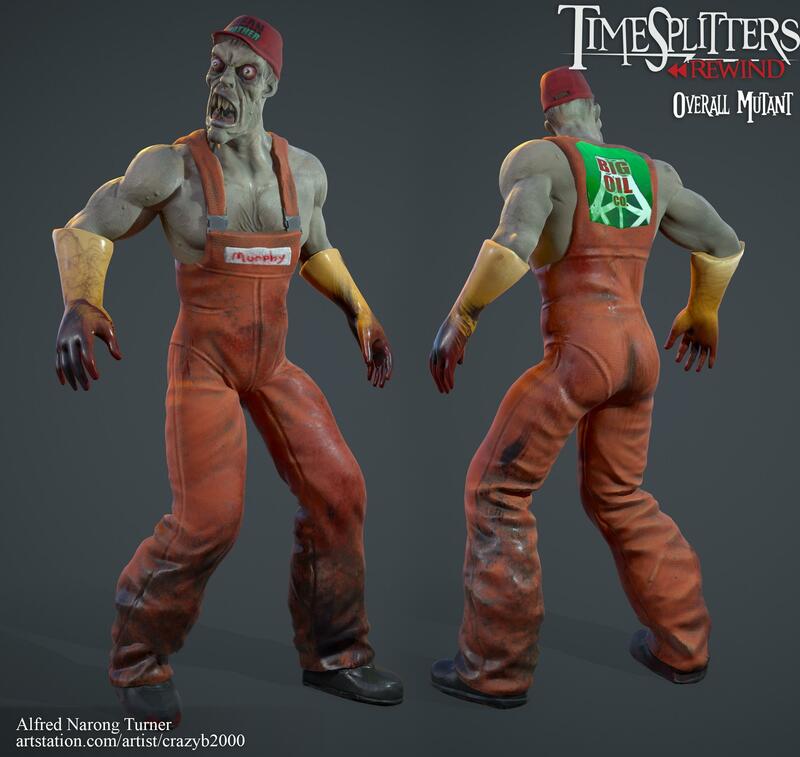 Will the models you created be used in the final game? and finally, when a character is killed in Rewind, do they turn into a ragdoll or play an animation?